[New Bedford Overseers of the Poor]. 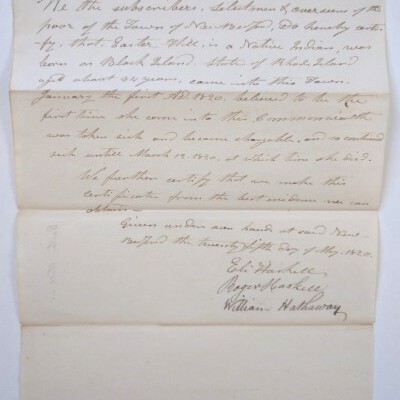 Two Manuscript Documents Certifying the Chargeability of “Native Indian” Women. 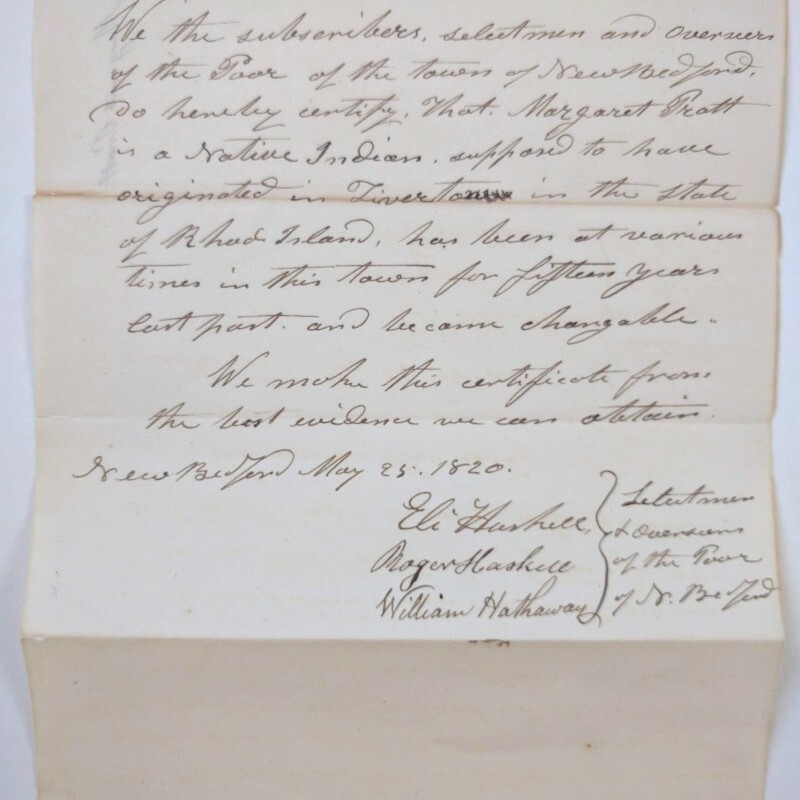 [New Bedford, Massachusetts]: May 25, 1820. Both on wove paper: 9 x 7-1/8 in. and 8-1/2 x 7-3/16 in. 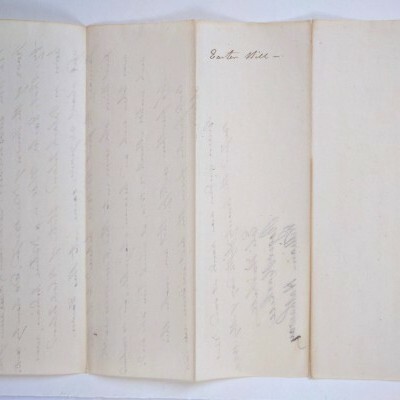 ; strong creases where folded with small closed tears, one fold more significantly separated, not affecting text; both dated and signed by three selectman: Eli Haskell, Roger Haskell, and William Hathaway; women’s names written verso. Bureaucratic banality provides a glimpse into the poorly documented lives of Native American people in southern New England in the early nineteenth century. Most tribal lands had been expropriated following the King Phillip’s War uprising; survivors faced the attrition of indentured servitude, slavery, and disease. The receipts address the status of two indigent “Native Indian” women who entered the Commonwealth from Rhode Island: Margaret Pratt, “supposed to have originated in Tiverton”; and Easter Hill, “born on Block Island,” “aged about 34,” and now deceased.